Completed 2018 | 8,280 sq. 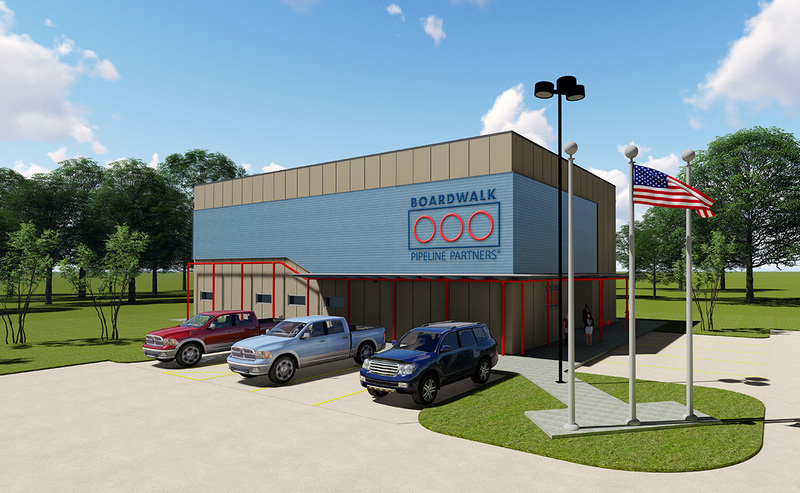 ft.
Hoffpauir Studio was tasked with designing a new blast-resistant, two-story control room and administration building for the existing Boardwalk Louisiana Midstream, LLC campus in Sulphur, Louisiana. Along with site improvements, the structure houses administrative, operations, and pipeline personnel on the first floor. The second floor contains two control rooms and ancillary support spaces. This project highlights Hoffpauir Studio’s ability to provide architectural services for various industrial projects and clients.